When I was growing up, rice and beans, empanadas, enchiladas, and posole were common in our house. My Mother not only cooked with Puerto Rican flavor, but she cooked with love. Isn’t it funny how you never forget home-cooked comfort meals or just how the brain associates food with comfort and memories? I find it extraordinary. Sometimes just the slightest smell of garlic, chili peppers and cilantro bring childhood moments rushing back to me. 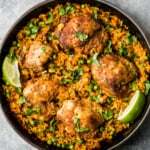 I remember my Mother soaking pinto beans overnight and preparing the fluffiest Spanish rice to serve with her famous enchiladas. My brother always requested posole and tamales, so of course we’d have a feast for an entire week. Often times we felt like our bellies might explode, but the truth is our hearts were full and content. Funny enough, my brother and I never got sick of home-cooked meals or those carb-packed leftovers. We still crave them to this day. In fact, there have been years where we have requested enchiladas, Spanish rice, and posole for Thanksgiving and Christmas dinners. Sadly, I can never recreate my Mother’s meals to perfection. Even if she gives me the recipe, it’s not quite the same. But of course, I am my Mother’s daughter. Therefore you should know I make some pretty incredible enchiladas. Like these! These enchiladas are a bit different. Maybe a little unique. 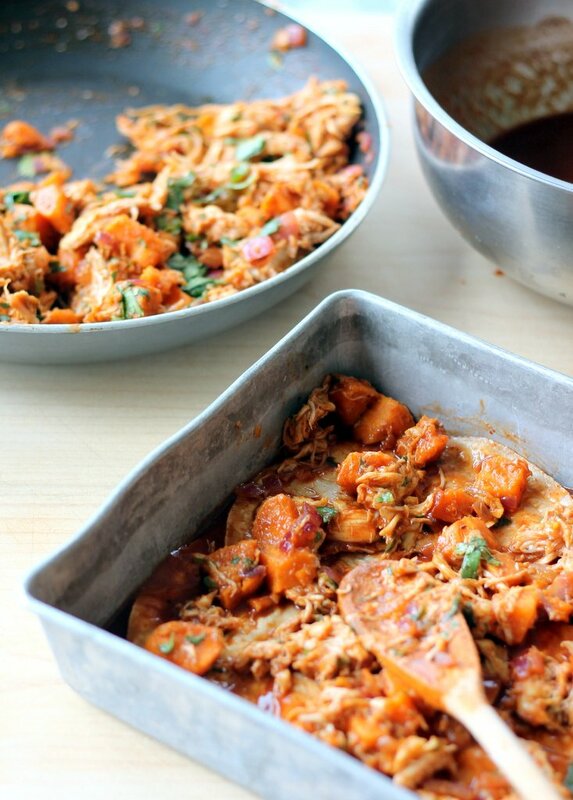 Certainly if you’ve never had sweet potatoes and BBQ sauce together, you need to try these. It’s one of the most delightfully flavorful combinations out there. The addition of chicken reminded me a little of CPK’s BBQ chicken pizza. Yum, yum. HOLY YUM. I also love these because they’re quite simple to make. I baked them for my Mother actually and she LOVED them! I would totally bake them for a boyfriend though; we all know that men basically live for either BBQ or buffalo sauce. 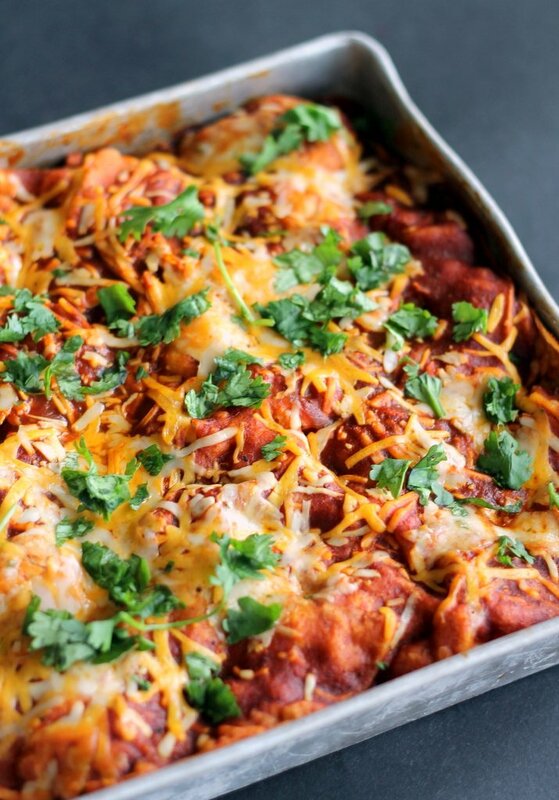 These particular enchiladas are layered. It’s much easier to make them this way as you don’t need to worry about rolling tortillas when they’re already stuffed. Just layer, add sauce and cheese, and layer again! Another thing I love is the BBQ and enchilada sauce flavor in these; the two combine to make a unique sauce that you’ll want to make again and again. When selecting your BBQ sauce, I suggest going for ones that have natural ingredients. Also, the less sugar the better! I opted for a sweet and spicy BBQ sauce with 30 calories for 2 tablespoons. Some BBQ sauces have 100 calories per serving, so be sure to check the nutrition labels if you are trying to keep your calories in check. 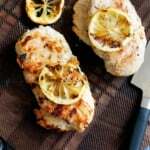 Of course, I used Just BARE® chicken in my recipe — it’s really the best chicken out there! Even better now that they have new family packs available! Family packs are especially wonderful if you like to cook in batches or if you have a large family to feed. 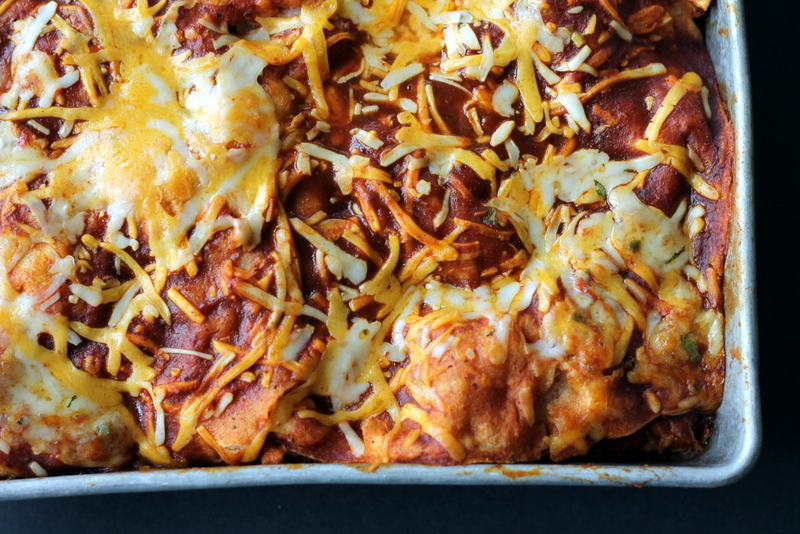 I usually make 2 batches of these enchiladas and freeze 1 pan for later when I’m in a bind. Then you can simply pop it in the oven without the fuss of preparing everything. So go on… get cooking and create some memories. Then devour! 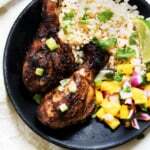 Get more delicious chicken recipes by checking out the brand’s Just 5 Digital Cookbook. Also be sure to find Just BARE on Facebook, Twitter, or Pinterest! Disclaimer: This is a sponsored post. I was compensated to create a recipe by Just BARE® Chicken. However, opinions are my own. Thanks for continuing to support Ambitious Kitchen! 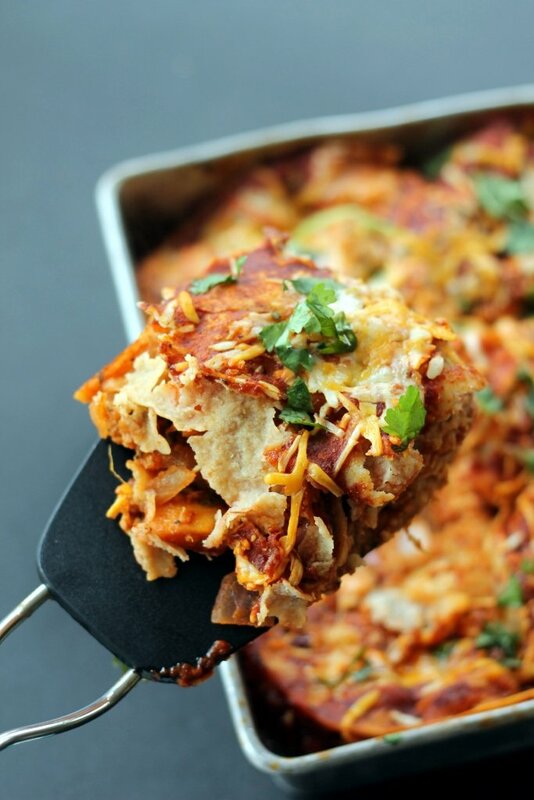 Delicious layered chicken and sweet potato enchilada bake with corn tortillas and an amazing bbq enchilada sauce! Whisk BBQ and enchilada sauce together in large bowl. Place chicken in baking pan coated with nonstick cooking spray and drizzle 1/4 cup of mixed BBQ enchilada sauce on top. Bake for 20-25 minutes or until juices run clear and chicken is no longer pink. Remove pan from oven and allow chicken to cool for a few minutes. 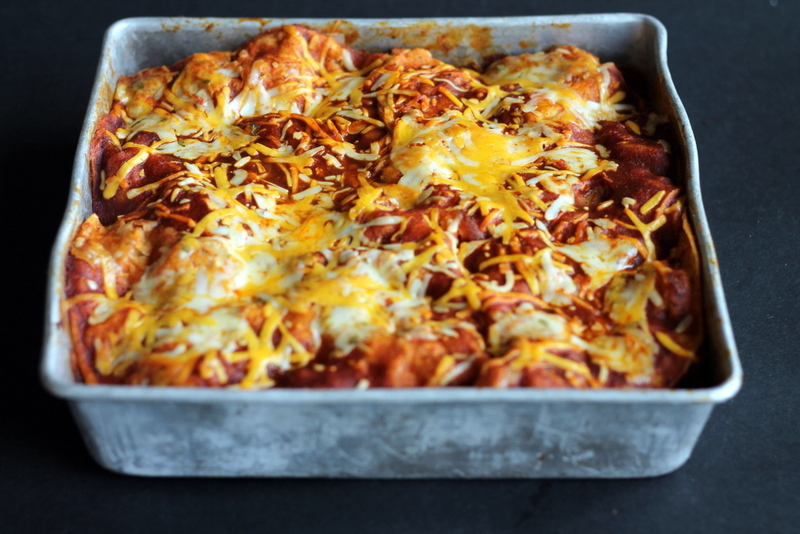 Keep oven temperature, as you'll be baking the enchiladas! Then, either shred chicken or chop into bite-sized pieces. I like shredding mine as I feel it absorbs flavors much better. While chicken is cooking, heat olive oil in a large skillet over medium high heat. Add garlic and cook a few minutes until golden and fragrant. Add red onion and cook until onion is translucent. Turn off heat and immediately add 1 cup of enchilada sauce and diced sweet potatoes. Add shredded chicken, cumin, and cilantro; stir until just combined. 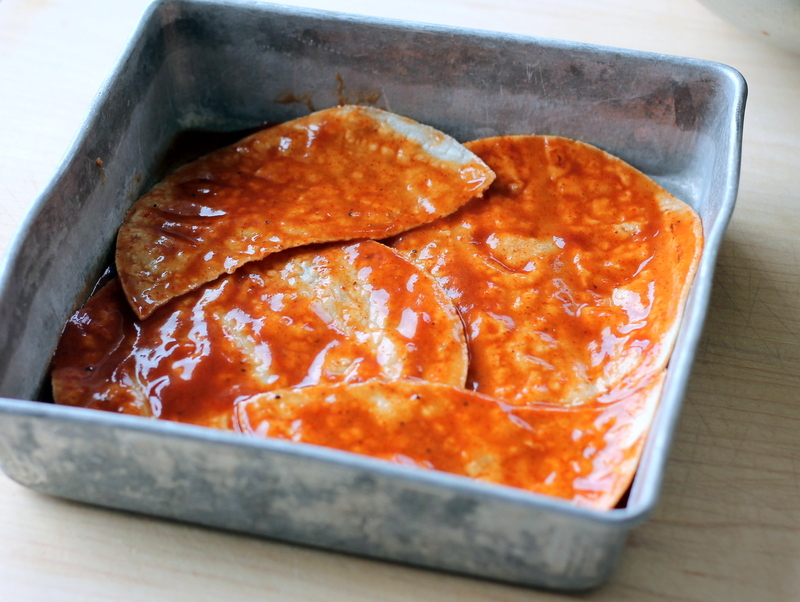 Place 1/4 cup BBQ-enchilada sauce in the bottom of a 9-inch baking pan. Dip 3 corn tortillas in enchilada sauce and place on bottom of pan; you may need to cut one tortilla in half to make sure the entire surface is covered. 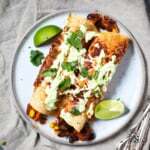 Place 1/2 of chicken and sweet potato mixture on top of tortillas and cover with 1/2 cup of cheese and about 1/4 cup enchilada sauce; repeat layers once and top with remaining tortillas, sauce and cheese. Cover with foil and bake for 30-40 minutes or until warmed through and cheese is completely melted. Cool a few minutes, garnish with extra cilantro, then serve with sour cream and avocado if desired. Feel free to double recipe - simply purchase family packs! Please note that calories reflect a low calorie BBQ sauce (30 calories per 2 tablespoons). 51 Responses to "Layered BBQ Chicken & Sweet Potato Enchilada Casserole"
I have made enchiladas with sweet potatoes & they were delicious. But never thought of using bbq sauce. Can hardly wait to try these. I’m a big fan of Mexican food! I’ve gotta try this sweet potato recipe– what a nice twist! Pinned. Oh wow! This sounds wonderful. I have been craving barbecue lately!! I need to make this! These sound so good, will have to try them soon. I love new and exciting recipes and love Mexican food, mom was half Mexican. My kind of comfort food – definitely need to make this for the boyfriend – he’d love it! Plus, I can’t get enough sweet potato! 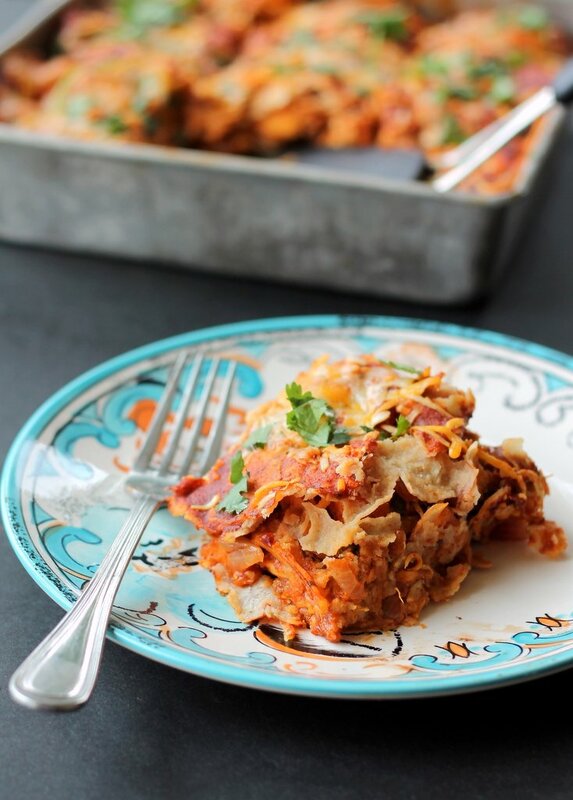 Goodness, this casserole looks amazing! 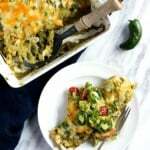 Goodness, this casserole looks amazing! Definitely adding to the menu! It was very tasty! Made it for dinner tonight, thanks! – your ingredient list calls for cumin but (from what I can tell) isn’t included in the instructions anywhere. I added it to my bbq sauce mix. Sorry if it’s listed and I’m blind. Served with avocado this was amazing. Can’t wait for the leftovers! Has anyone tried this with green enchilada sauce? That’s my fave, but am wondering about the combination of it with bbq sauce. Either way, I’m gonna make this recipe! Hopefully I am not missing something obvious, but what do you do with the sweet potatoes? I only see them come into play at step 5, how do they end up in the mix? Bake, boil, diced? Also is your 9″ baking pan 9×9, or 9×13? I added black beans which I think enhanced it! Yummy! To the chicken/sweet potato mixture. So sorry about that! Just pulled this out of the oven–so amazing looking! Can't wait to dig in! I made this last night and was in love!! So good! I didn’t add cumin and used canned sweet potatoes with the syrup rinsed off and a rotisserie chicken from the grocery ( I’m a lazy cook). It was soooo good. I give it 5+ stars and a golden sticker 🙂 thanks for sharing! Keep posting your magical recipes! Made this tonight and it was YUMMY!! Great recipe! Thank you! 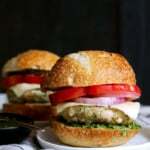 I’ve been trying to find tasty nonfattening meals for my family. I saw this & made it last night for dinner. My family was skeptical when I told them what it was but they LOVED it. In fact, they just polished off the leftovers for lunch. Will definitely be making this again, thank you! How do you cook your sweet potatoes for this recipe? Do you bake, boil, microwave, or pan cook them first? Looking forward to making this recipe, I have made a stuffed sweet potato skin recipe similar to this before and loved the flavors. You can cook them however you like. I prefer to roast mine in the oven. 🙂 400 degrees for 30-40 minutes should do the trick! If I’m freezing this do I follow all the steps and freeze? And like a earlier person asked, do I thaw it out then cook? Wonderful flavors! Love everything about this dish… sweet and savory. 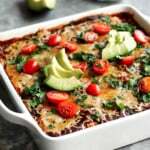 If you make this, you must use Monique’s enchilada sauce recipe, though! No canned sauce here! So glad you loved it! And YES love that homemade sauce.